Disclosure: Mom Among Chaos receives tickets to facilitate this giveaway. All opinions are 100% our own. 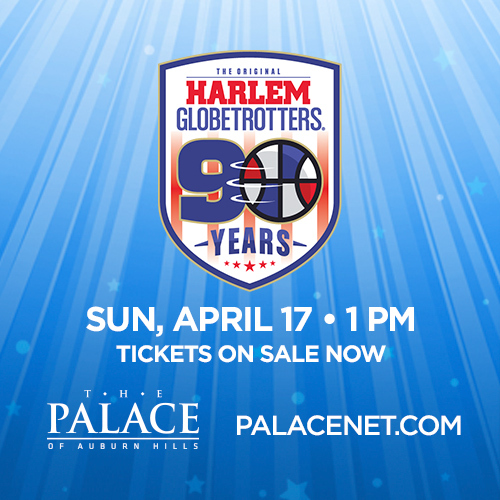 The Original Harlem Globetrotters will make their 90th anniversary the biggest in their history! 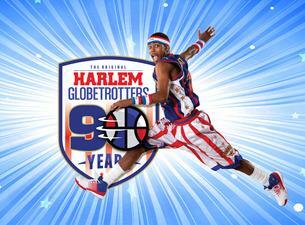 The Harlem Globetrotters began in 1926 as the Savoy Big Five. Now 90 years and 20,000 games later, the team has become one of the most recognizable franchises in sports. My family has been attending the show for several years now. It's a fun family event that we always look forward to. My youngest daughter is so excited for this entertaining basketball game. She loves the mascot, Globie. Don't expect it to be a regular game, it's more of a comedy show. The players will run through the stands trying to throw a bucket of water on each other. They also pick people in the audience to make jokes about or to pull out on to the court. 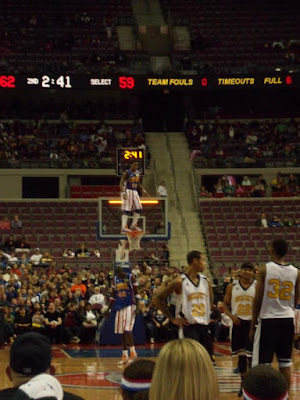 How is a Harlem Globetrotter standing on the basketball hoop?! 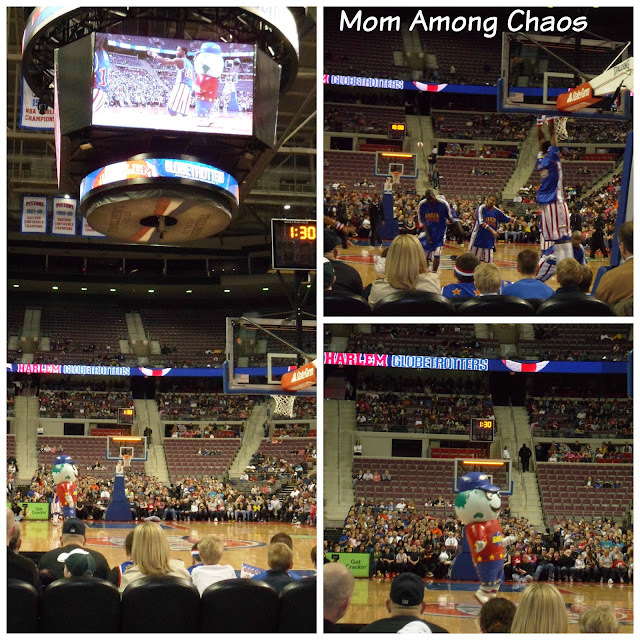 Buy Harlem Globetrotters Tickets Here! For the latest news and information about the Harlem Globetrotters, and to purchase tickets and team merchandise, visit the Globetrotters' official Web site: www.harlemglobetrotters.com and follow them on Twitter @Globies. 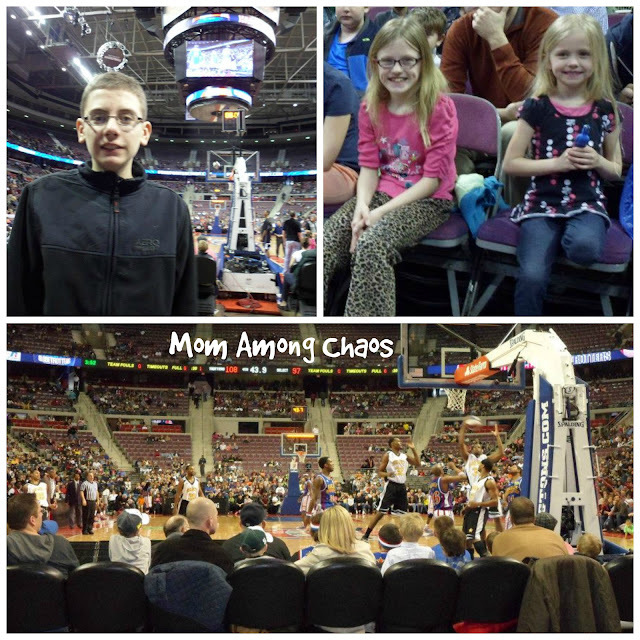 One lucky Mom Among Chaos reader will win a family 4 pack of tickets to see the Harlem Globetrotters at 1 pm on 4/17/16 in Auburn Hills, MI. 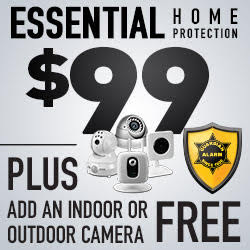 Ends 4/13/16. Winner is subject to eligibility verification. Winner must reply within 24 hours or a new winner will be chosen. Giveaway is open to local MI residents only. Prize supplied by The Palace of Auburn Hills.